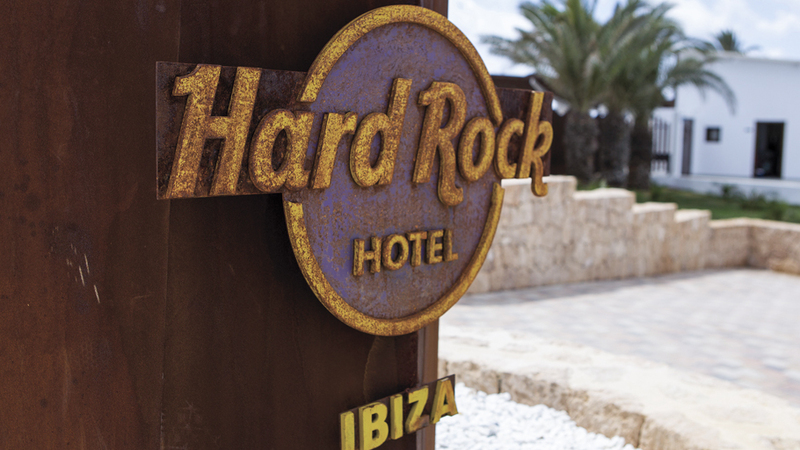 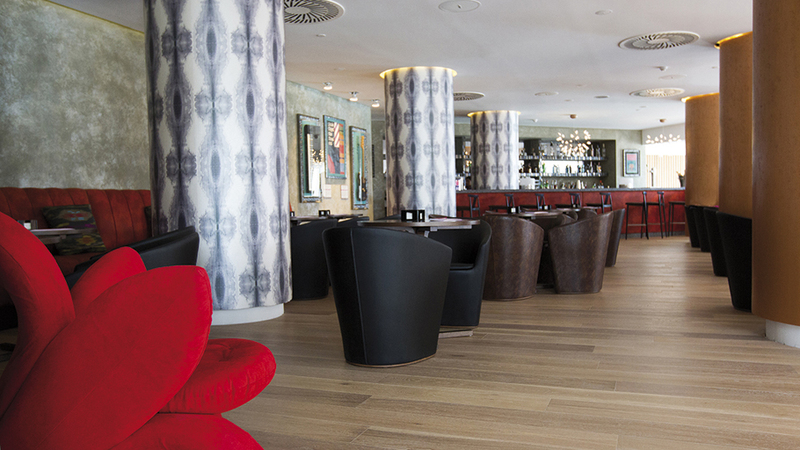 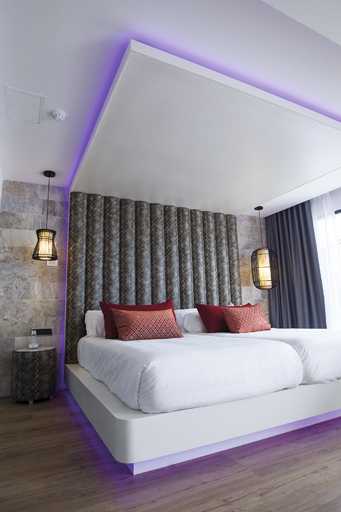 The versatility of the solid surface Krion® has inspired the renovation process of Hard Rock Hotel Ibiza. 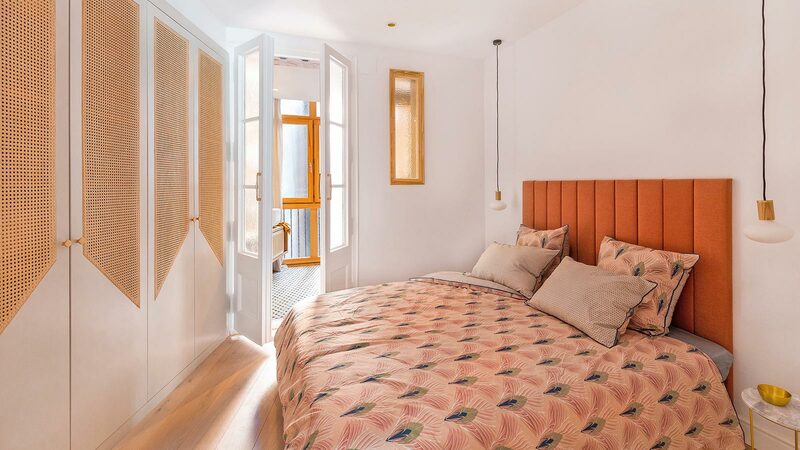 Located on the structure of the former Don Toni hotel, this large five star hotel belonging to the Matutes family has a privileged location in Playa d’en Bossa, without doubt one of the best areas of the island, where the Mediterranean climate can be enjoyed with all modern comforts. 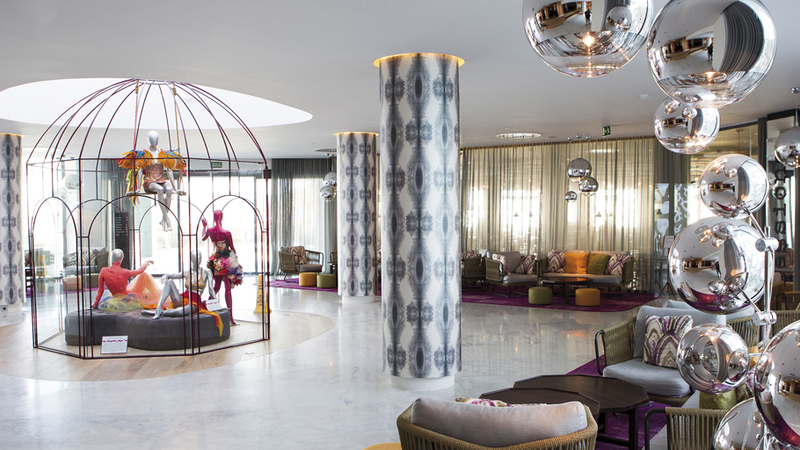 The care for details and the large, bright rooms with happy touches of bright colours define the style of the Hard Rock Hotel, designed by the team of architects and interior designers of the Urcoisa construction firm, also belonging to the Matutes Group. 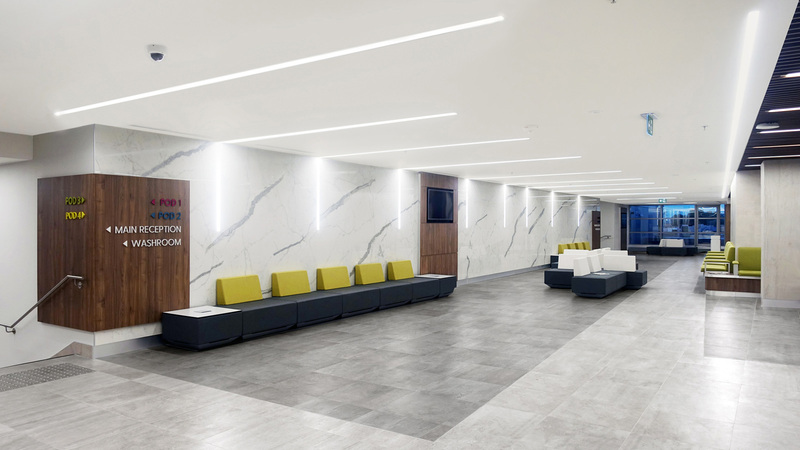 To achieve the modern atmosphere that this project required, those in charge of it trusted one of the most advanced materials from PORCELANOSA Group: Krion®. 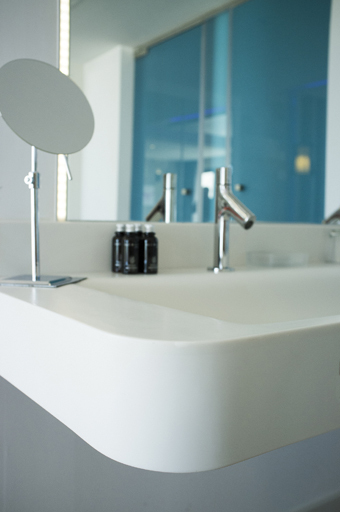 Thus, the compact mineral from PORCELANOSA Group has served as a decorative focus for the 293 rooms of the Club area of the hotel, located around the main swimming pool and next to the concert area, in which artists such as Neil Rogers, Brian Cross, Neneh Cherry, Prodigy and Placebo, among others, have performed. 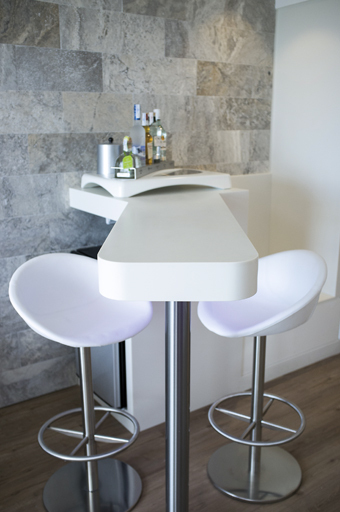 Companies Creaciones Parma and SolidIbiza have been entrusted with the manipulation of the Krion® for constructing the structure of the beds, the American bar and the washbasins of all the rooms of this exclusive area of the Hard Rock Hotel Ibiza. 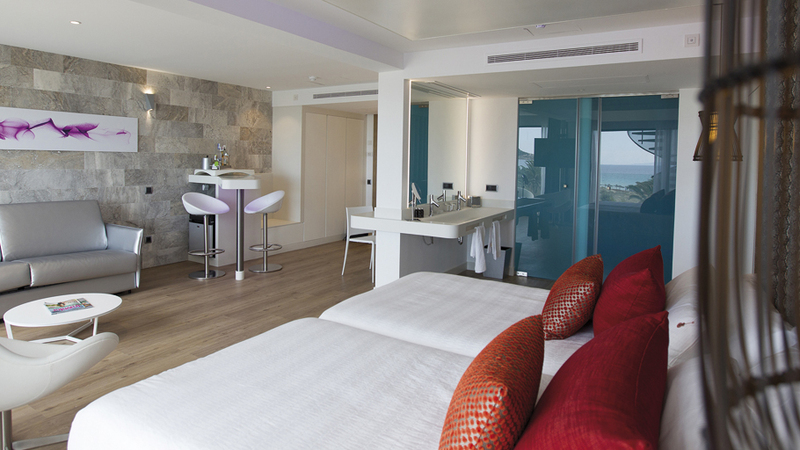 The result of the interior design work offers comfortable, bright rooms with views of the sea, which the solid surface by PORCELANOSA Group completes with its smooth and ergonomic lines, configuring modern spaces defined by a dynamic luxury. 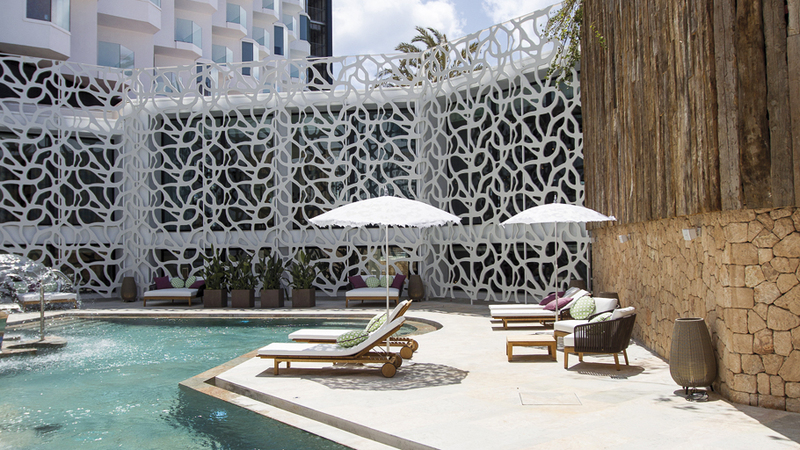 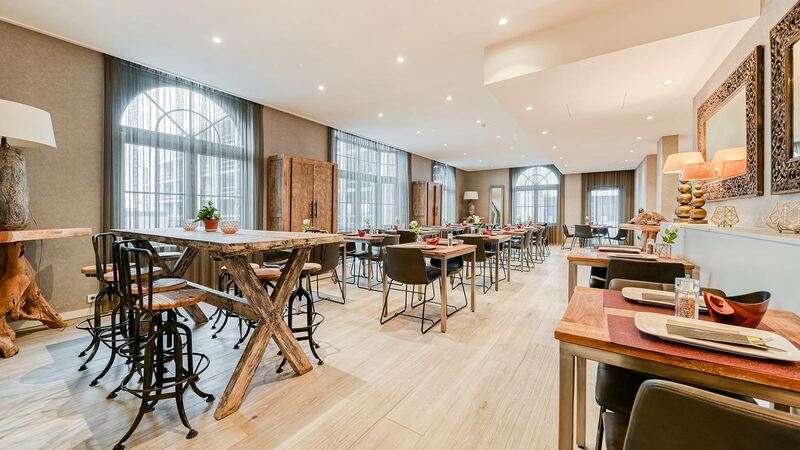 A total of 493 rooms, 14 bars and restaurants, two of them run by chef Paco Roncero (the Estado Puro tapas bar and the Sublimotion gourmet restaurant), a conference room with capacity for 700 people and a large terrace complete the facilities of this idyllic hotel.